As ShowingTime continues to enhance mobile app capabilities, the ability to access ShowingCart from your mobile device is one of our newest endeavors. Now easily view information and obtain driving directions for your buyer's tours on the go! 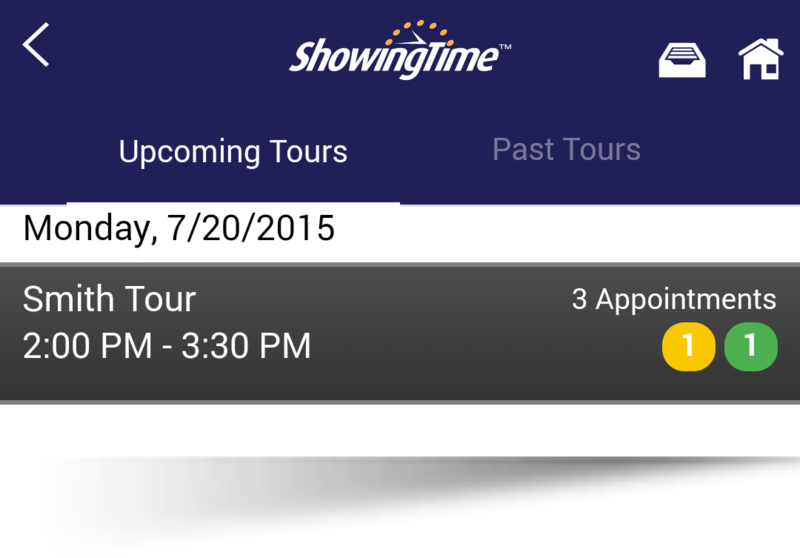 Note: In order to see your tours via the ShowingTime mobile app, we require that you create the tour from our desktop site at this time. ShowingTime plans to develop more functionality to the ShowingCart feature in future releases. Once you have selected the 'ShowingCart' button from the home screen, you will be presented with your 'Upcoming Tours'. Tap on the tour you would like to access. Tap 'Past Tours' to access your history of tours. Tap the listing you would like to view more information on.